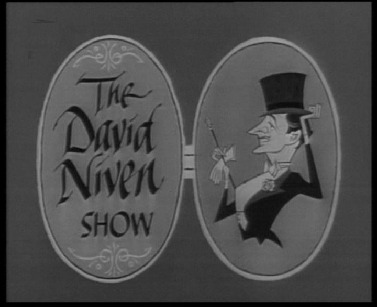 This is the complete David Niven Tv Series. It comes on 3 discs w/menus.Quality is 8 or better on each episode. This show aired from Apr 1959 to Sep 1959 on NBC Tv. Summer Replacement Anthology series featuring Original Dramas. Guest stars are listed to the right of each episode.